Harry Potter And The Cursed Child, which picks up from the epilogue of the blockbuster series, has been released worldwide as a rehearsal script, but the choice of form limits the potential of what could have been a spell-binding epic. J.K Rowling, who wrote the Harry Potter books, created the play with playwright Jack Thorne and director John Tiffany. To their credit, they have crafted a masterful story - a sweeping narrative arc spanning several generations of magicians, one that is steeped in the history of the series and features a touching, if often tortured father-son relationship. Die-hard Potterheads will also be pleased with cameos from well-loved characters, from Harry's loyal guardian Severus Snape, to the stolid Professor Minerva McGonagall. The play is set in 2017 and Harry is a middle-aged civil servant, married to childhood friend Ginny Weasley. Her brother and Harry's best buddy Ron, in turn, is married to Hermione Granger, now Minister for Magic. Harry and Ginny have three children. The eldest son James Sirius and youngest daughter Lily Luna are named after Harry's dead parents, while the awkward middle child, Albus Severus, is the protagonist, newly enrolled at Hogwarts School of Witchcraft and Wizardry. Albus, struggling under the weight of his father's legacy, finds comfort in the company of Scorpius Malfoy, son of Harry's former nemesis, Draco. Scorpius is rumoured to be the evil Lord Voldemort's offspring. The misfits develop a friendship that becomes the heart of the play, as they travel back through time in a failed bid to alter Harry's past deeds, joined by a mysterious new character, Delphi. The story is at its most raw and affecting when it tells how the scars of Harry's generation stay with the children. Albus and Harry are chronically unable to communicate their love for each other, haunted by Harry's status as the hero of the wizarding world. Their relationship echoes how Professor Albus Dumbledore, former head of Hogwarts, loved Harry dearly like a son but kept him at arm's length. 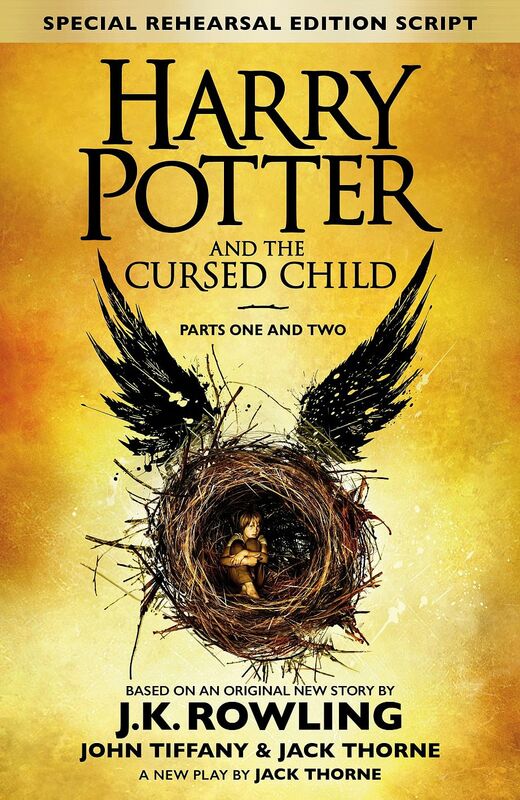 As a cultural product, however, Harry Potter And The Cursed Child would have fared far better as a novel or a full-length film, in this reviewer's opinion. Rowling's narratives enchant when she has space to flesh them out in detailed prose, taking readers on a tour of the immense Potter universe. The films brought the books to life, lending them the power of spectacle and directorial vision, supported by a sterling cast of fresh-faced starlets and thespians alike, from Daniel Radcliffe and Emma Watson to Alan Rickman and Maggie Smith. The script, however, lacks such elements. Some directing instructions try to convey a sense of the scenes ("A perfect, profound silence. One that sits low, twists a bit and has damage within it"), but they sound contrived. The action sequences also feel flat and muted when read, instead of dramatised. For now, only audiences in London will get to see the play, which has debuted to rave reviews, and has sold out its run until May next year, with another 250,000 tickets set to be released. Readers here hoping to re-live the Harry Potter magic through the script alone may be better off saving up for an air ticket to see The Boy Who Lived, live on stage in London.